These days most everyone has heard of yoga, but we tend to think of it as a kind of exercise class. We may be generally aware that there are many different forms of yoga, but the majority of us do not know very much about them. Today I would like to talk a little about one of the oldest forms: Kriya Yoga. There are no records to tell us exactly when the ancient tradition began because it is a technique that has been practiced by saints, seers, sages, and masters since long before recorded history. Yoga is a powerful tool that can be used by seekers of all religions to quicken spiritual development. 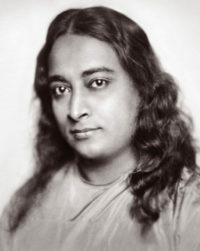 The non-sectarian nature of Kriya Yoga and its simple technique is not complicated or demanding and suits people from all walks of life just as well as monks. From the principles of Karma Yoga, Kriya teaches that all action, (Kri), is done by the indwelling soul, (Ya). Thus, the word Kriya means internal action. This kind of inner action is neither physical nor mental because both the body and the mind are exteriors to the true self. So, Kriya yoga is the pursuit of an energetic mastery and a higher state of being. While the pursuit of higher states of being through external action can be loosely grouped under the banner of Karma Yoga, the pursuit of higher states through inner action can be called Kriya Yoga. There is a certain yin-yang to these two ideas because they reside within each other in certain ways, but generally, Karma is that which binds while Kriya is that which releases. Kriya encompasses all eight limbs of the classical yoga system, as presented by Patanjali in The Yoga Sutras—a text that codified what was already an oral tradition for thousands of years before it was committed to writing over 2500 years ago. Kriya is a system which deals directly with the mind, its structure and dynamics. Embodied within it is mystical psychology which offers a profound recognition of how we create, sustain and dissolve the circumstances of our life. Its unique approach is rooted in its focus on karma, the laws of causation, and how karma develops, activates and can be softened and modified. Kriya is a way of self-study and meditative attunement which induces a direct perception or insight into the nature of consciousness, the pattern of the mind and of life itself.